It is a garden-hotel seemed so plain and fully filled with national tradition prime. It deserves to erect this international trade-orientation city in South China. It presents all national prime concluding architecture, service, management, royal lobby and distinctive and also stimulate world people to recognize Chinese style hotels, and set an marked example for the course of localization. As with what she promulgates, the name, SINO indicates that it merge China’s traditional culture into international concepts. Its symbol assimilated to a blue stocking living Jiangnan, who acquires well myriad foreign languages and is able to roam in any countries. The SINO create itself the leading quality and a highlighted global brand with national elements. 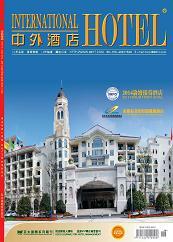 HANGZHOU SUNNY HOTEL MANAGEMENT CO.,LTD. A very sounding name, the SUNNY associates company in Chinese tobacco system and otherwise a hopeful associated company in all Chinese industries. It is also an independent national brand followed by those who ever tried to mount associated company but failed to. The SUNNY and TOBACCO is a pair of partial tone in Chinese so its fluent tone may be one of the reason that has its name promulgated broadly as an prominent example.